The PlayStation Vita is struggling. Some have predicted that Sony, looking for an easy band-aid, might slash the system's retail price for this holiday season, much like Nintendo did last year to pump up sales of its then-floundering 3DS. Speaking to Eurogamer at Gamescom this week, Sony Worldwide Studios president Shuhei Yoshida said the Vita won't be getting a price cut any time soon. Just bundles. "Of course, cost reduction is one area our engineering team is working on. But we just launched the platform earlier this year. It takes time to do so," he said. "At a certain point in the future we would like to address the pricing issue for some of the people who are waiting. But this year we are trying to add value by creating different types of bundles. We announced we will provide LittleBigPlanet PS Vita bundle pack. That's affordable for people who are looking for a good deal." 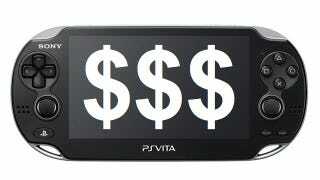 The cheapest version of the Vita will run you $250, not including the proprietary memory card. When asked straight-up by Eurogamer if Sony plans to slash that price this year, Yoshida said "No. It's too early."